Welcome to STOFF & STIL. We have a wide range of knitting needles at very good prices. 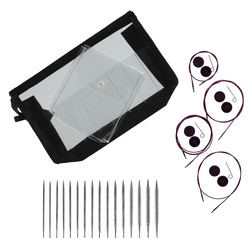 Here you will find knitting needles suitable of all the different types of knitting. 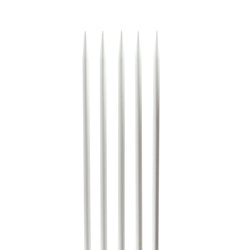 Find a knitting needle for your knitting project here at STOFF & STIL. We have knitting needles for both professionals and beginners. 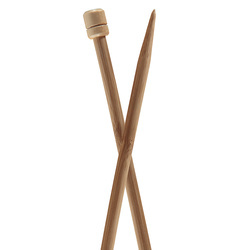 Select between a large assortment of bamboo knitting needles, knobbed pins and circular needles from PONY in all the sizes you might need. The good thing about using bamboo knitting needles is that they are easy to work with because of the smooth surface, which makes the stitches glide easily. Bamboo knitting is good for loose knitting and a good place to start if you are new to knitting. Bamboo needles also leave warmth to your hands while you knit, which is not the case with regular knitting needles made from aluminium. The brand Pony is British, and they have specialised in knitting needles, crochet hooks and accessories for creative projects at cheap prices. Knitting needles from Pony are made professionally and you are therefore guaranteed a good product when you buy something from Pony. At STOFF & STIL you can also buy yarn for your next big knitting or crochet project. You also have the opportunity to make your own mood boards where you can name all your projects and put in the products you need to start your next knitting project. Choosing the right knitting needle is mainly a question of preferences. 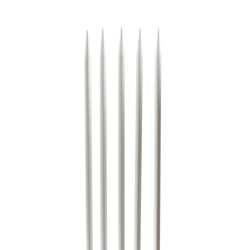 Some people prefer the aluminium needles while others are sworn supporters of the bamboo knitting needles. Your choice also depends on what you are knitting and what material you are using. If you knit a lot, you know how important it is to have the right pair of knitting needles. The needles are a big part of your knitting experience. Therefore, you have to have the perfect equipment and make no compromises. We have chosen a wide selected of the best knitting needles for you to choose from. All in high quality and at cheap prices. The expected delivery time is 5-7 days and we would love to help you pick the right knitting needles if you need it. Just contact us with any questions you may have regarding your choice of knitting needles.